A Secured Business line of credit can provide you with capital, but, more importantly, they provide flexibility. Unlike a traditional loan, when you use a line of credit, you are in control of how the funds are spent. In addition, lines of credit typically carry a lower interest rate than credit cards, offer low monthly payments, and can be used repeatedly as you make payments. This makes them an ideal funding option for many companies. However, for some, a lack of credit history, weak credit, or other factors may mean the only option available is a secured line of credit. If you are doing business in construction trades, service industry or you are a wholesaler, a line of credit can make the difference between winning and losing a contract. Many times, you will need immediate cash to bid on a contract; you cannot do this if you have limited cash flow – a line of credit could give you that option. A line of credit can also help you through temporary cash flow issues. You may have cash coming within a couple of weeks but need immediate capital to purchase a piece of equipment, make payroll, or purchase materials. Since a line of credit is renewable, you can spend it multiple times as long as you are making your payments, you have readily available cash for any purpose. Unlike closed end loans, you have complete control over how you utilize a line of credit. In many cases, a closed-end loan would result in the lender putting restrictions on how the funds may be used. As you can see, the benefits are significant and can help you ensure your business continues to thrive in a competitive marketplace. When you are unable to secure a standard loan, or your credit does not warrant an unsecured line of credit, you still may have options. Secured business line of credit are available for those who may not have established business credit; depending on the lender, you can use various assets for security including equipment, real estate, and in some cases, future income through offering liens on invoices, or purchase orders. Why a secured line of credit? 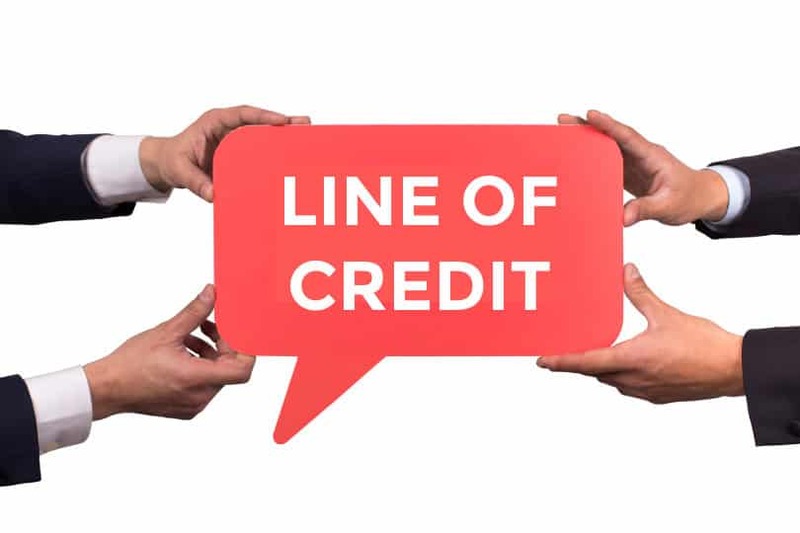 Keep in mind, secured lines of credit have numerous benefits; for instance, you may only be required to make interest only payments for periods of time. You may also borrow between 50 and 80 percent of eligible assets; this means more cash on hand to grow your business. There is far less risk when using a secured line of credit; while you are building your credit using this funding option, you are also not going to have to worry about what happens if something goes wrong and you cannot make a payment. This flexibility alone is often enough to warrant considering a secured line of credit. We understand you want maximum flexibilty; in some instances, this is not available with unsecured lines, or with more traditional funding methods. Capstone Capital Group, LLC, offers business owners numerous ways to access capital they need for their business. Whether you need to have cash on hand to meet immediate need such as payroll, or you need access to a line of credit to help you bid on an attractive contract, we can help. Contact one of our service representatives today, and discuss the various options we can offer your business. We will take the time to review your immediate, and future needs and find the right solution to those needs. We help small and mid-sized businesses get the financing they need to ensure their business remains financially stable, and to help spur business growth. We can discuss the various ways Capstone can help. Contact us today, whether you are considering a secured line of credit, or other financing options for your business. See what a difference working with a solutions-oriented lender can make for your business.